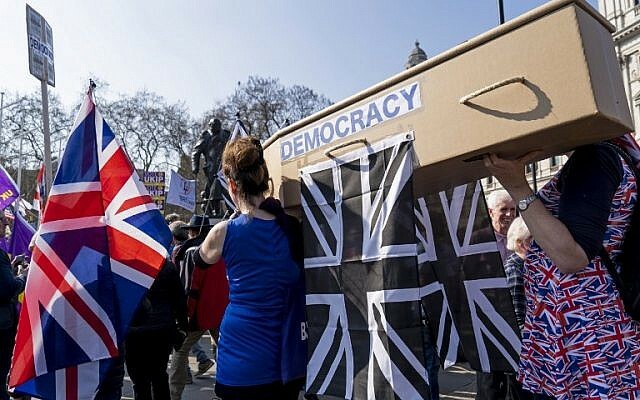 LONDON (AFP) — British MPs on Friday rejected Prime Minister Theresa May’s EU divorce deal for a third time, opening the way for a long delay to Brexit — or a potentially catastrophic “no deal” withdrawal in two weeks. 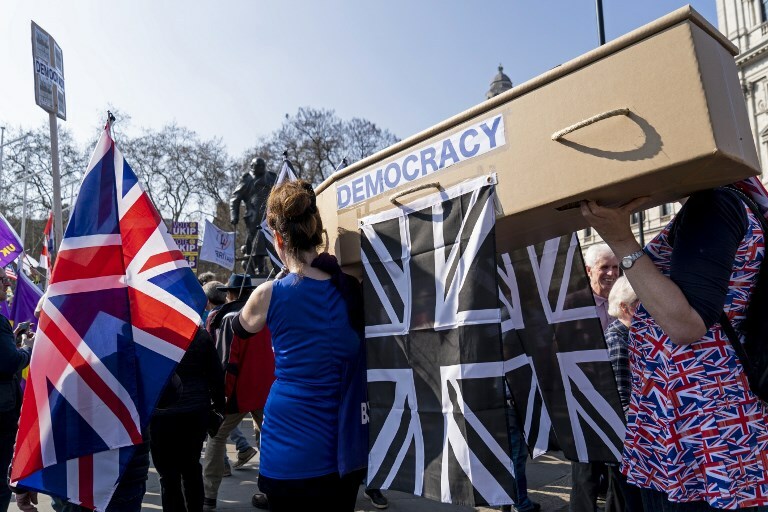 Britain had been due to leave the EU on Friday, the long-heralded March 29 “Independence Day,” but faced with chaos in Westminster, May asked European leaders last week for a little more time. May has said it would be “unacceptable” to ask voters to take part in forthcoming European Parliament elections, three years after they voted in a 2016 referendum to leave the EU. 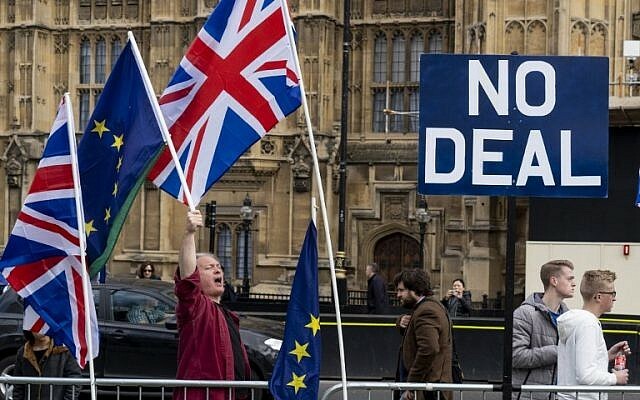 But while “no deal” remains the default legal option, MPs have repeatedly voted against this, fearing catastrophe if Britain severs ties with its closest trading partner with no plan in place. A proposal for a new customs union got close to passing in a first round on Wednesday, as did a plan for a referendum on May’s deal, with more voting planned next Monday and Wednesday. The risk that MPs decide to agree closer ties to the EU, or even stop it altogether, has focused the minds of some Brexit supporters, who reluctantly agreed to back May’s deal. 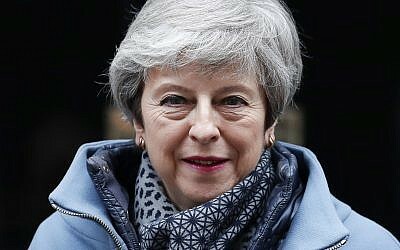 Her offer on Wednesday to quit if it passes also helped persuade some of her staunchest critics, including former foreign minister Boris Johnson. But others refused, including May’s Northern Irish allies, the Democratic Unionist Party (DUP), which says planned arrangements for the Irish border after Brexit are unacceptable.